Located Highway 78 and Mill St. Blanchardville, WI Coordinates Lat N 42:48':652" Lon W -89:51':721"
Mormon faith in 1850. These families founded Zarahemla or "City of God" and attracted other Mormons. 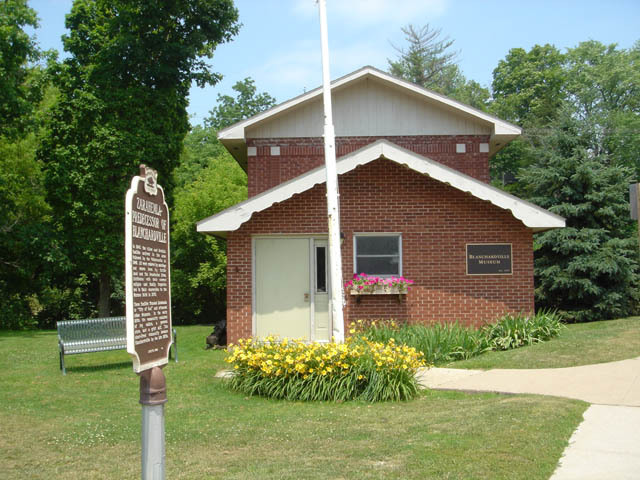 In the early 1850s the community consisted of log cabins, a general store. and a grist mill. 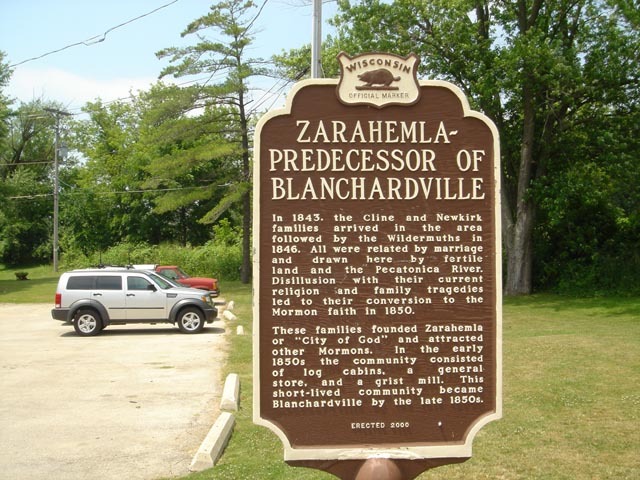 This short-lived community became Blanchardville by the late 1850s.